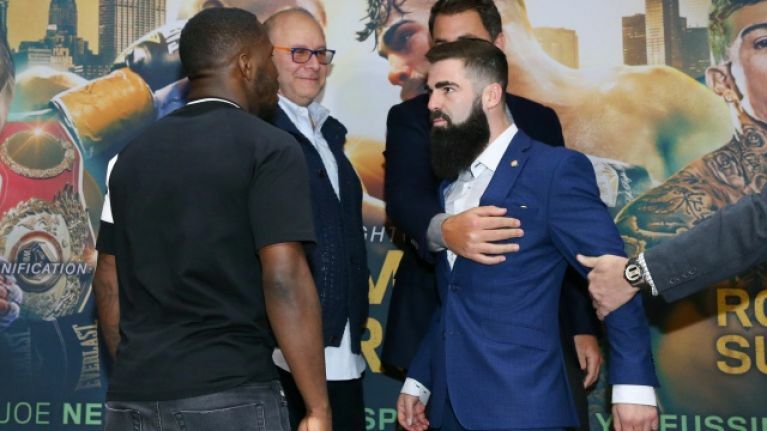 Jono Carroll is in little doubt about the outcome of the biggest fight of his career to date. Dublin-born, Dunshaughlin-raised Carroll is set to challenge for the IBF super-featherweight title on St. Patrick's weekend, when he meets Tevin Farmer in Philadelphia. The pair have repeatedly traded barbs on social media and there is clearly no love lost between the rivals, as evidenced by their first staredown on Tuesday. 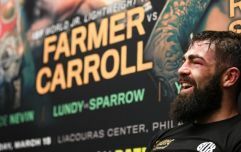 To launch the card in Philadelphia, Carroll and Farmer went head-to-head for the customary face-off photo but tempers threatened to boil over and promoter Eddie Hearn was forced to pull his fighter away to prevent matters getting out of hand. "I’ve always been the underdog but I just keep winning and winning and winning," the unbeaten Carroll said during the press conference. "Tevin Farmer is not going to know what hit him. He hasn’t been tested before so if he can beat me, I’ll take my hat off to him because it is going to take a great man to beat me. "Mark my words, on March 15th, I’m going to take Tevin Farmer’s belt." Also on the card is Katie Taylor, who will hope to add the WBO lightweight belt to her collection when she meets Rose Volante while John Joe Nevin is also scheduled to feature.